Designs coming from the Scandinavian region focus on simple and clean looks. The S90 is a prime example of this, as it doesn't feature any design gimmicks that most of its competitors come with. Instead you're presented with a smooth body with rounded edges and a roofline that is steeply raked toward the rear. The minimalist look continues inside the S90 where you're greeted with an uncluttered and simple interior layout. Our Inscription tester featured large swaths of matte wood trim and two-tone soft-touch materials on the dash and door panels. One touch that Volvo deserves applause for is the chrome speaker grilles for the optional Bowers & Wilkins audio system. It adds that little touch of class. Volvo has a reputation for having some of the best seats in the industry and the S90 is no exception. Our test car featured optional Nappa leather that felt very soft and gave the impression of the S90 being more expensive than it was. Front seat passengers get 10-way power adjustments with the option of adjustable side and thigh bolstering. Paired with a power adjustable steering wheel, it is very easy to find a seating position that works for you. Step into the back and there is enough head and leg room for most passengers. Those sitting back there will not be complaining either, as they get their own set of climate controls, manual side-window shades and power rear-window shade. Open the trunk and you're presented with 17.7 cubic feet of cargo space, the largest in the class. 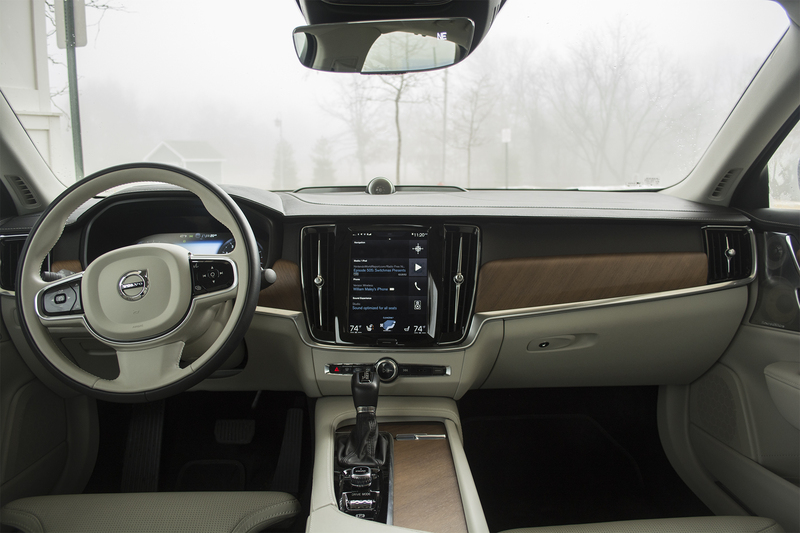 All S90s come with a 9-inch touchscreen featuring Volvo's Sensus infotainment system. Many of the vehicle's functions are controlled through this. On one hand, this makes for a clutter-free cabin. It's also simple to use thanks to easy to understand interface and having a control setup similar to a smartphone or tablet, with swiping between various screens and pinch-to-zoom. But there are some issues to Sensus. For one, it takes a fair amount of time for the system to boot up. We timed how long it takes the system to fully boot up and it took about a minute on average. We found out that the slow boot up is due to the navigation system. Also, the system does show some slowness when it comes to switching between the various functions. Having many of the vehicle's functions controlled through the screen means you'll be easily distracted when driving. It would be nice if Volvo provided some physical buttons and knobs for some of the functions, such as the climate control. Apple CarPlay and Android Auto compatibility comes standard on all S90 models. The optional Bowers & Wilkins audio system is a treat for your ears. No matter what you play through this system, it provides a rich sound for all passengers. One gimmick this system has is the ability to provide the experience of sitting in a concert hall via some special system processing. This is kind of hit and miss, depending on what you play through the system. Some types of music, such as electronica and jazz, sound amazing. Other types, such as rock, sound weird and artificial. On the Inscription, the driver faces a 12.3-inch digital instrument cluster that is clear and comprehensive. 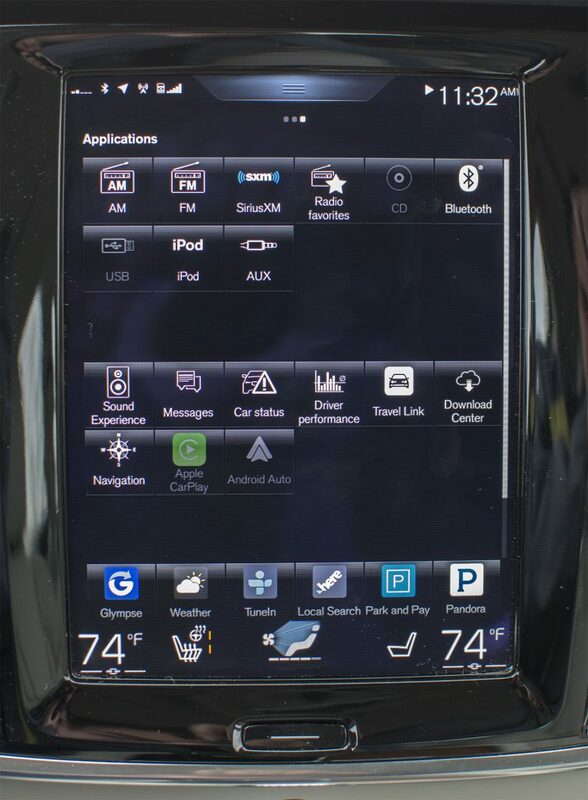 You can customize the layout to provide navigation, trip information and the adaptive cruise control system's status. You can also change the theme of the cluster if you want something aggressive or relaxing to look at. The S90 T6 is rated by the EPA at 22 City/31 Highway/25 Combined. We saw an average of 22.3 mpg during our week with the vehicle, mostly spent in the city. There isn't reliability data for the Volvo S90, as it only went on sale a few months ago. 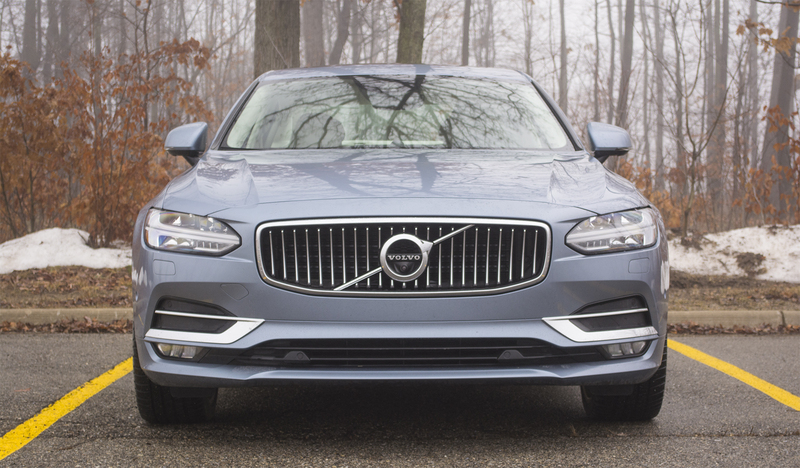 We can tell you Volvo as a brand has dropped to below average in Consumer Reports and J.D. Power's recent reliability studies. This is mostly due to issues with the various electronic features. A key hallmark of any Volvo is safety and the S90 is no exception. All S90 models come equipped with a full suite of airbags, traction control, stability control, automatic emergency braking, pedestrian and animal detection, adaptive cruise control, lane departure warning, drowsy driver alert, run-off mitigation, road sign notification, backup camera, rear parking sensors, Volvo's OnCall telematics system and a semi-autonomous driving system called Pilot Assist that allows the vehicle to drive itself on the freeway at speeds up to 80 mph. We tried this system and found it to be somewhat eerie to use as the vehicle would make small adjustments in the steering to keep you in your lane. Don't think about taking your hands off the wheel, the system will warn you if it doesn't detect your hands on the wheel and turn itself off. It should be noted that Pilot Assist only works when the system has a clear view of the road. In dense fog or a snowstorm, the system will not activate. The Insurance Institute for Highway Safety has been the only group to crash test the S90. The model was named a "Top Safety Pick" as it scored the group's best rating of "Good" in all of the tests. Unlike many competitors, the Volvo S90 doesn't offer a 6- or 8-cylinder option. Instead, you'll find two 4-cylinder engines featuring some sort of forced induction. The base T5 is a turbocharged 2.0L 4-cylinder producing 250 horsepower and 258 pound-feet of torque. 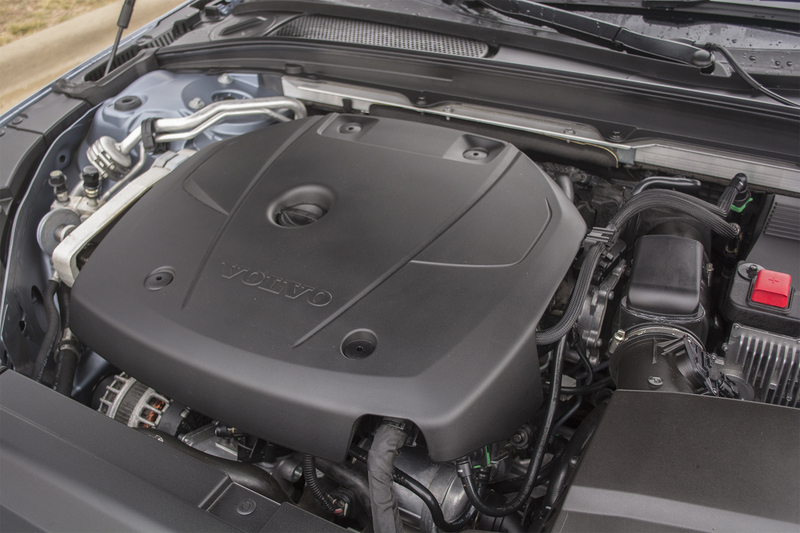 Our S90 came with the T6 engine which takes the 2.0L four and adds turbo and supercharging. Total output stands at 316 horsepower and 295 pound-feet of torque. Both engines come paired with an 8-speed automatic. The T5 is only available with front-wheel drive, while the T6 only comes with all-wheel drive. Despite the impressive figures of the T6 engine, it doesn't offer thrilling performance that some may expect. What it does offer is a steady stream of power throughout the rev band and immediate response thanks to the twincharger setup. Making a pass or merging onto a freeway is no issue for this engine. More impressive is how the 4-cylinder engine doesn't sound like one. I asked those who rode in the S90 to tell me what engine they thought was under the hood with most thinking it was a V6. To say jaws were dropped when I said it was 4-cylinder would be an understatement. The 8-speed automatic transmission goes about its business with transparent shifts. 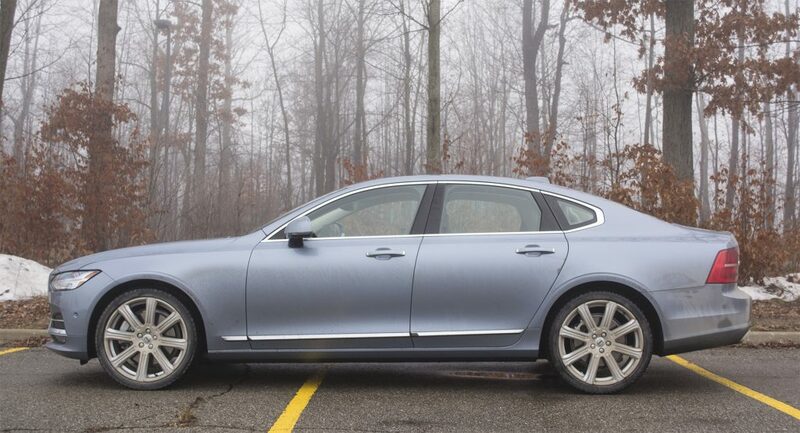 Volvo's plan for the S90's suspension was to provide something that could equal the ride of proper luxury sedans and, for the most part, it succeeded. The suspension is able to smooth out most bumps found on the road. We recommend skipping the optional 20-inch wheels seen on our tester as it lets in a bit more harshness and road noise. There is an optional air suspension that might fix this issue if you really want the 20-inch wheels. Wind noise is kept to almost near silent levels. If you want something sporty, then you should skip the S90. This is mostly due to the steering as it lacks the feel and weight you want in a sports-oriented sedan. At least Volvo made sure the suspension keeps body motions in check when cornering. 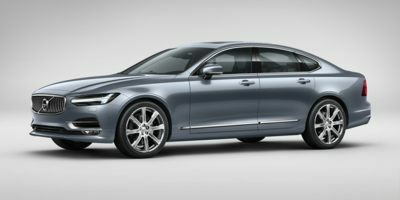 The 2017 Volvo S90 begins at $46,950 for the T5 Momentum and $49,650 for the T5 Inscription. Add $6k to either price if you want the T6 engine. Our T6 Inscription tester came loaded with the Bowers & Wilkins audio system, Vision Package, Climate Package, Convenience Package, Mussel Blue Metallic Paint and 20-inch wheels bringing the as-tested price to $66,365. For our money, we would go for one of the Momentum models and add the Momentum Plus, Vision, Climate and Convenience packages, along with the heads-up display. This trim is almost as luxurious as the Inscription and will save you a fair amount of cash. 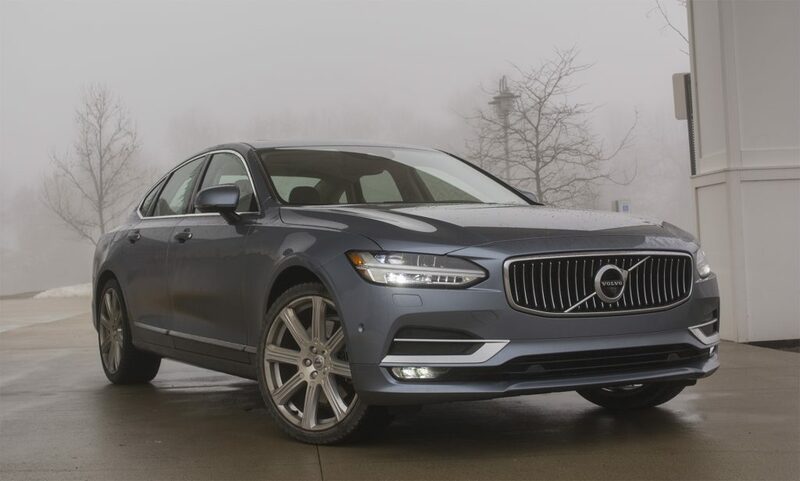 The Volvo S90 faces a large and tough crowd when it comes to midsize luxury sedans. The all-new BMW 5-Series could possibly be the best all around in terms of its ride and handling balance, along with a revised engine lineup and more tech. The Mercedes-Benz E-Class comes close to the S90's interior appointments and smooth ride. If you're looking for something sporty, both the Cadillac CTS and Lexus GS give their German rivals a run for their money. Lincoln's all-new Continental follows Volvo's idea of doing something different by being one of the most luxurious models in the class. 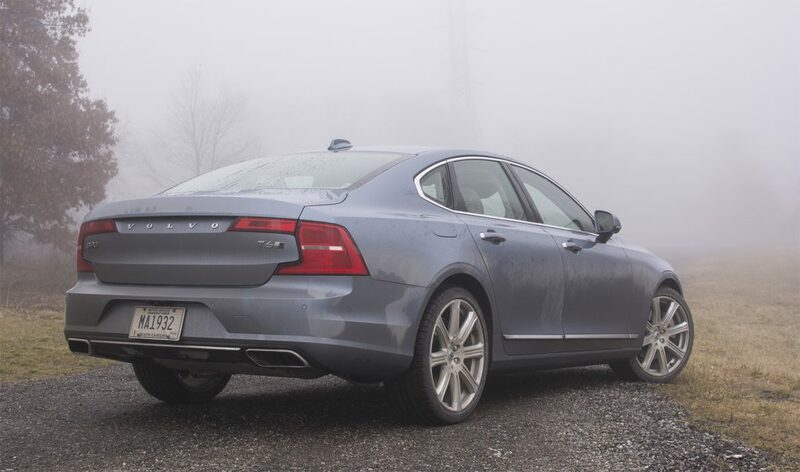 Volvo has always blazed its own trail and the S90 is no exception. It may not be the sportiest or offer anything larger than four cylinders, but it stands out with an impressive interior, sharp looking exterior and smooth ride if you stick with the smaller wheels. Volvo might not have the same name recognition as its rivals. But if the new S90 is any indication of what's coming down the pipe, then Volvo may become a force that needs to be reckoned with. Interested to see how the 2017 Volvo S90 ranks against similar cars in terms of key attributes? Here are the 2017 Volvo S90 rankings for MPG, horsepower, torque, leg room, head room, shoulder room, hip room and so forth.